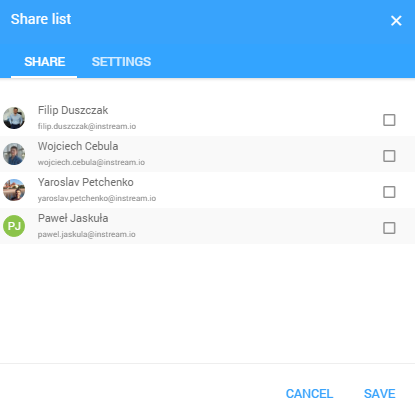 In the relation line, click on the icon in the “share” column. Once the relation is shared the icon change color into blue. Notice: Person with whom you share the relation see only that the relation exists. This person won’t see any details about this relation. 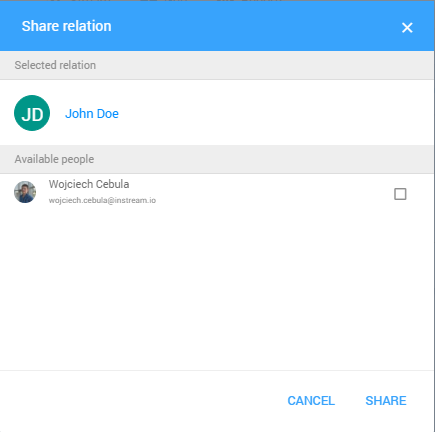 Click on the blue settings icon in the share column. Now, you can give your teammate access to the content of this relation (sent and received emails, comments, events, status changes, and follow ups). Notice: You can choose the “All Time” option to share the content from today. 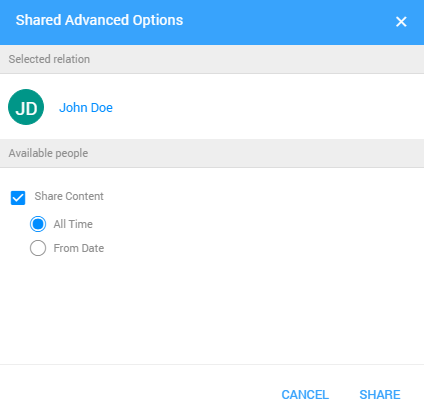 If you want to share content from specified day choose “From Date” option.